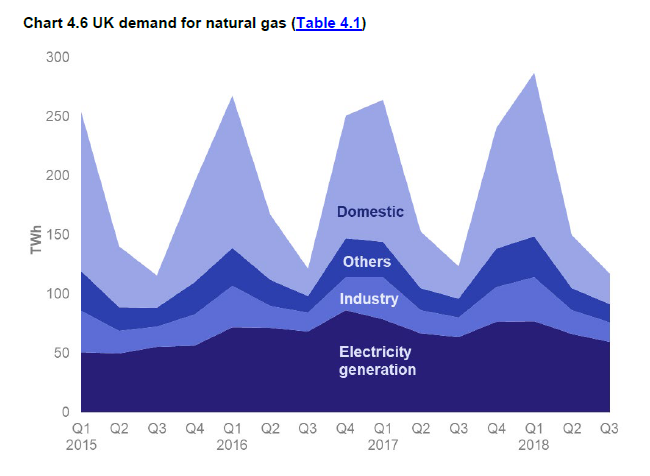 While gas was responsible for nearly half of all electricity generated last month, we must not lose sight of its contribution to the rest of the energy that we rely on. And that was only the figure for the quarter as a whole. Demand would have peaked much higher during the coldest weather, and at certain times of the day. They reckoned that demand for gas, including for electricity, peaks at around 350 GW during winter. In comparison, electricity demand peaks at around 50 GW. 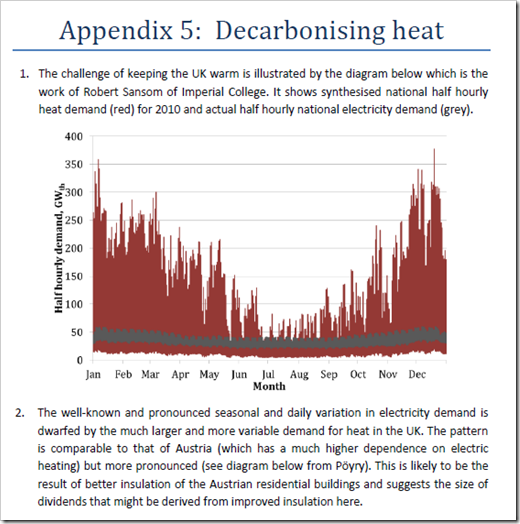 When renewables’ proponents spout on about heat pumps displacing gas boilers, they’re oblivious to fact that even if the instantaneous quantities of electricity can be generated, the electricity grid transmission system is incapable of distributing current heat+power quantities. And that’s before they realise they’ve also promised transport will also be decarbonised, adding further to peak demand. So if the demand for gas is 7 times that of electricity why is there so much resistance to shale gas? Renewables can’t make up the slack so where do we go for energy? The deluded Mother earth fanatics might like to enlighten us. Once they’ve finished telling us what we mustn’t do, there isn’t much left apart from part-time unreliables. Obviously not a workable plan, even if they were free and there was unlimited space for them. Because anti-frackers have little practical knowledge of seismology. To them, (false) reports of a cup dislodged from a shelf is a portent of a major catastrophe. But surely their Russian backers have told them how to use seismology to stop the fracking? National Grid calculated demand on 1st March 2018 at 417.6 mscm/day, with a peak equivalent to over 500 mscm/day. 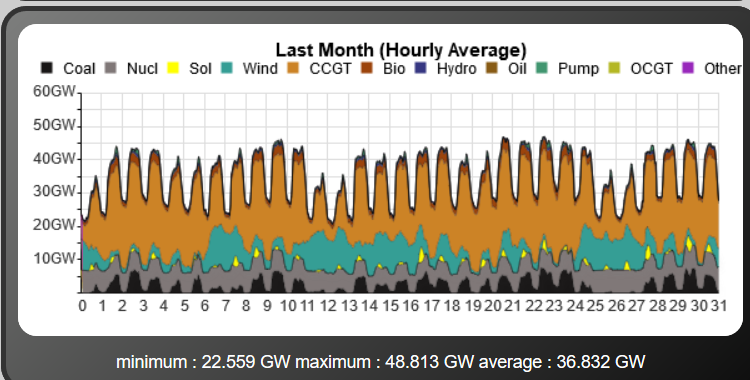 there are approximately 11 GWh/mscm, so they reckon 5500/24 or about 230GW. Of course, they are only really measuring linepack in the transmission system rather than local distribution, so it’s possible that the maximum was somewhat higher, given the linepack drawdown they did see. Never mind uncle Vlad will look after us…. just drop your pants, bend over & wait to be shafted! More and more evidence of the illogical stubborn stupidity of government under the alppalling energy leadership of the ghastly Clare Perry. Government continues to claim that shale gas is an important resource for the UK but has flatly refused to relax the ridiculously strict earthquake criteria. Yesterdays results from Cuadrilla clearly show that their test shale well is not viable (100 MCFD vs 600 MCFD for the US wells). This may be due to the earthquake criteria (as proposed by their CEO) but it may also be due to poor permeability of the shale – if the latter the whole thing is over. Why on earth can’t common sense and compromise be called upon – let Cuadrilla frack this one well to the higher proposed (but still insignificant) Richter 2 instead of 0.5 and let’s find out once and for all whether we have a potential national resource or not. They can’t allow rhat – it might work!